The museum’s mission is to support, encourage, and facilitate the collection, conservation, maintenance and restoration of heritage property and sites in Williams Lake and the Cariboo Chilcotin regions. As a history museum in Williams Lake, we are a centre for historical, genealogical, and anthropological research. We offer free research services to anyone with an interest in local history topics and are available by appointment for research consultations. 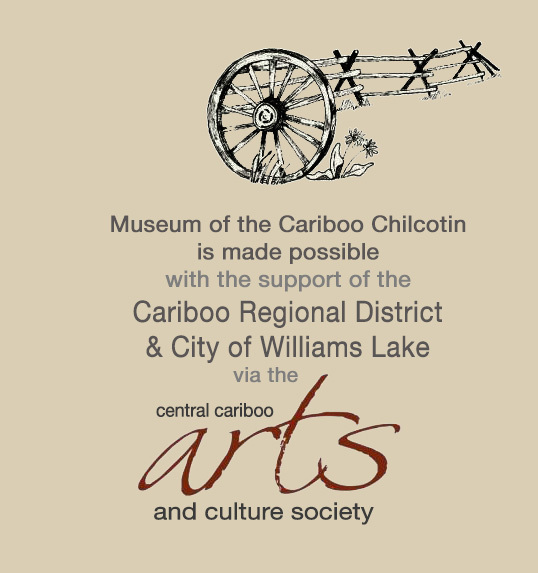 The museum is run by a not for profit society, the Museum of the Cariboo Chilcotin Society, formerly known as the Williams Lake Museum and Historical Society. The society has operated the museum since 1985 and continues to fund-raise in support of the museum’s initiatives.